Courses, they’re so hot right now. Everyone and their mother seems to want to create a course – and at WES, we love courses, too! They’re an effective way to learn a new skill from someone who’s already mastered it and they don’t have the price tag (most of the time) of working with a 1:1 coach. So if you’re on a budget, courses can be a really great way of filling in the gaps of your knowledge! But creating a successful course is a process. You can’t just wake up one day and decide to make a million dollar course… when you don’t have any of the right pieces in place. In fact, it can be really hard to make a sale if you didn’t have the right pieces in place. 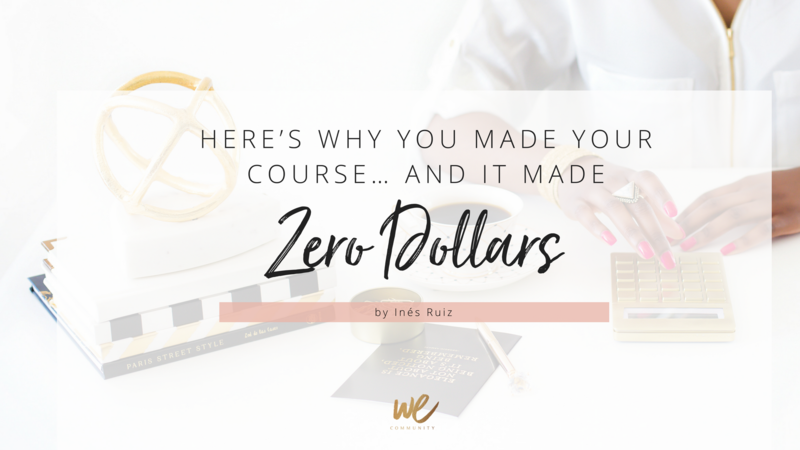 If your course made zero dollars or you didn’t make the sales you were hoping or expecting to make, here’s what probably went wrong. Finding out if people even want your course is probably the most important step in building your course, to be honest. 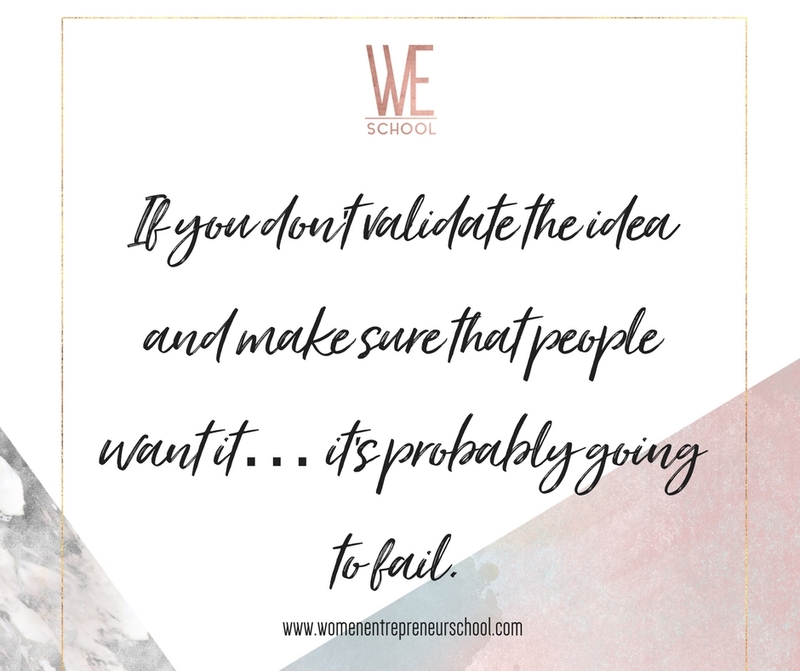 Because while you might think you have a great idea, if you don’t validate the idea and make sure that people want it… it’s probably going to fail. 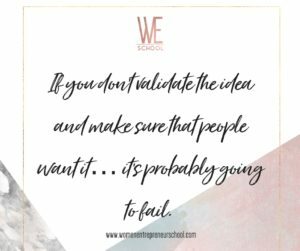 You can use your social media content to pre-validate an idea, or do a webinar or a mini-workshop that’s a little preview to help you validate an idea. If you’re creating a course on blogging… there’s probably about a thousand other courses on blogging, from people who are likely more established than you. What makes your course different? 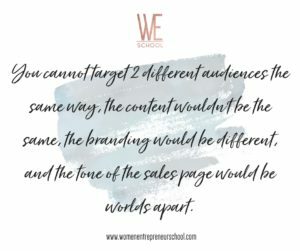 Why are YOU different than other people in your niche? You have to figure out what your unique selling point is and brand your course properly. Before you ever put out a course, you need to work on building up a list of qualified buyers. You can’t just put it out there, cross your fingers, and hope it’s going to work. Hope is not a strategy when it comes to courses. You need to get the names and e-mails of people who are interested in content in your niche and help prepare them to be ready for your course by giving them valuable content and showing them that your course is a worthwhile investment. Market research is essential to the course launching process. When you’ve got a course idea, you need to see how your clients are talking about their problems. You can either do this by asking them directly, but honestly, most of your clients don’t know what they’re struggling with – if they did, they probably would have solved it by now. If you ask a vague question like “what are you having trouble with in Facebook ads?” you’re going to get a wide, and mostly unhelpful, variety of answers. So you need to pay attention to how they’re talking about what their most pressing concerns so you can make sure to address those concerns in your course. This is something that happens all the time. If your market is too broad or if it’s to the wrong audience entirely, you’re going to end up making few or no sales. Again, your market research and validation can help to give you the answers to this. 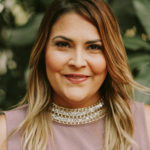 Look at WHO is asking the questions your course can solve – for instance, a middle-aged woman in Nebraska with two kids who wants to use FB ads to grow her list for her mom blog isn’t going to have the same interests or concerns about using FB ads as a six-figure male coach in New York City who is looking to use ads to broaden their brand visibility. 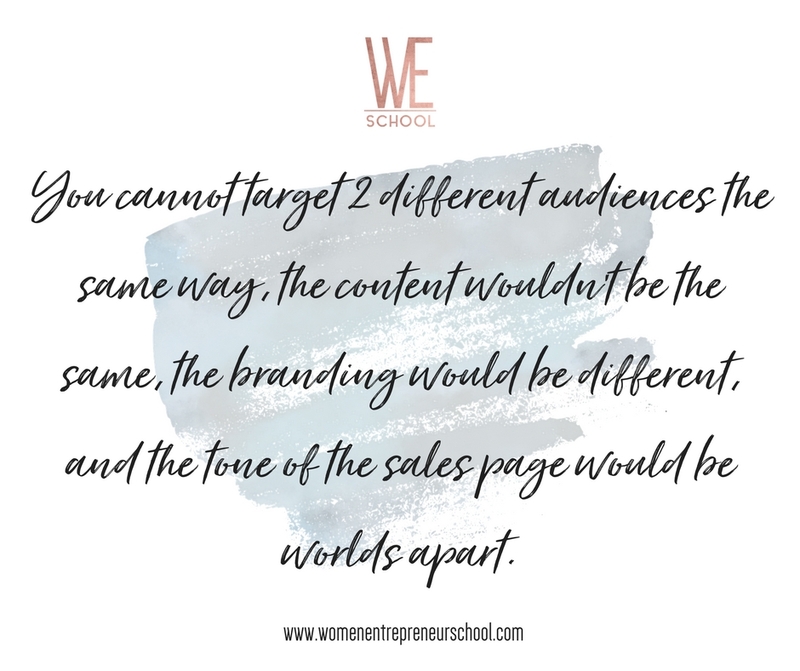 You cannot target 2 different audiences the same way, the content wouldn’t be the same, the branding would be different, and the tone of the sales page would be worlds apart. It’s important not to undervalue your work. Pricing a course at 47$ that should be valued at 470$ won’t make it any easier to get people through the door. They’re going to probably end up being suspicious, actually, about why the course is such a low cost. You want to price appropriately for your buyer. That said, if you also overvalue your course, your audience isn’t going to pay for it. A mini-course generally shouldn’t sell at the same price as a full-fledged course. If a course is your signature offering with lots of bonuses, additional resources, etc. then it will likely be the highest priced offering that you have! 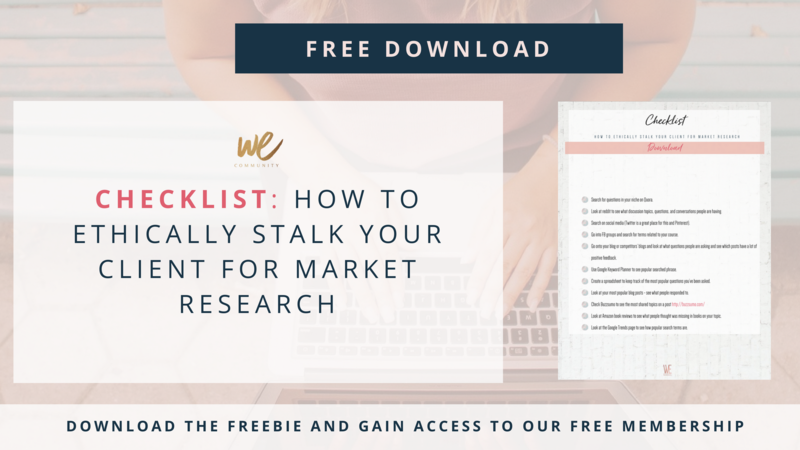 If you’re not sure what to price your course, you can always do market research and see how much other courses in your niche are going for.